XTrade is a Forex and CFD broker, which is headquartered in Limassol, Cyprus, and regulated by the CySEC. It is part of XTrade Europe Ltd. and was launched in 2002. As an experienced broker on the market, XTrade has already earned a good reputation. In addition to the solid trading conditions, the broker also scores points with its excellent customer support. As part of our XTrade review, we have considered the various advantages and disadvantages and summarized these by means of a detailed experience report, which you can read through below. One of both the most important advantages and weak points of XTrade are the fixed spreads. In principle, fixed spreads provide the advantage that the trader knows which fees to expect when trading right from the start. In addition, there are no commissions, which should also be considered a big plus. However, at XTrade, the fixed spreads are very high. Especially in case of the standard account, which is the first choice for beginners, they only start at 4 pips. Compared to other competitors, a very large margin can be seen, which should not be underestimated. Therefore, it makes sense to consider the premium account from the very beginning. When opening your account, you can choose one of two different account types. As we were putting XTrade to the test, we noticed that the differences between the standard account and the premium account mainly concern the spreads as well as the option of using a tailor-made training program. The standard account is already available with a deposit of as little as €100. Via this account, traders can use low equity for trading. However, this will cost at least 4 pips. Moreover, traders also have access to the regular educational offering when choosing this account type. A bonus of up to €100 Euro is possible as a reward for the successful referral of a new customer.. The premium account is offered when the trader deposits at least €1,000. €1,000 is also the amount that can be earned for successful referrals. In addition, it is possible to trade for as little as 2 pips and use a training program that was tailor-made for the trader. The price differences between the two account types are manageable, wherefore we recommend opening a premium account as part of our XTrade review. At XTrade, Forex and CFD trading is possible and the catalogue of underlying assets has been set up accordingly. Traders can choose from a total of around 130 underlying assets. The Forex share is very solid with 50 currencies, while around 60 stock offerings can be found as part of the equities offering. In the case of the currency pairs, traders can choose between majors and minors, which means that exotic currency pairs are also part of the broker’s overall offering. In terms of commodities, XTrade is able to extend a great offer to its customers, which is made up of classic and exotic underlying assets. Gold and silver as well as cotton and coffee can be traded, for example. On the award-winning trading platform clients can trade Shares and Indices, among other things. The number of tradable commodities currently stands at around 25. In addition, there are the indices, which are considered an important economic factor and of which around 35 are available here. The XTrade catalogue of underlying assets has therefore been very well set up and has an equally good offering in store for beginners and advanced traders, from which traders can select freely. The stop-loss orders that are offered by XTrade are a very good option in order to keep potential losses rather small. They are always charged for the closure of a position, if that position does not reach a fixed price. When the price is reached, a stop-loss order turns into a best order. A take-profit order can be used to protect your own profits. When an instrument moves in a rather unsuitable direction, the position is closed and the gain is retained. While the available order types are limited at XTrade, this is still a good way to be able to operate an optimal risk management strategy for your own trades, the value of which should not be underestimated. The broker XTrade has decided to create its own trading platform and does not offer any other trading platforms apart from its own. This is to say that traders will not have access to MetaTrader or similar platforms at XTrade. The broker's trading platform is very manageable, works quickly, and makes it possible to choose between four different tabs. The following tabs are being offered: The overview page as well as a page about the open positions, the closed positions, and the orders that a trader has placed. Multiple charts can be opened; trading is easily possible via these charts. With just one click, the positions can be opened and closed. The trading platform has been equipped with various analysis tools as well as an overview of the current ascending and descending positions. This overview is updated in real-time. This allows traders to act quickly whenever something changes. Mobile trading is also possible, which the XTrade review has shown. The broker provides a free app that is easy to download. This app allows you to access your own account; there are no restrictions regarding the visibility or trading possibilities. This makes it easy to engage in CFD or Forex trading on the road. The head office of the broker is located in Limassol, wherefore XTrade is subject to regulation by the Financial Supervisory Authority CySEC. This is to say that this regulation leads to regular checks. XTrade also operates according to the MiFID guidelines. Among other things, these guidelines include the stipulation that customer deposits have to be kept separate from the operating capital of the broker. In regards to a possible insolvency of the broker, traders thus do not have to worry about losing their account balances altogether. The broker is a member of the Investor Compensation Fund. This makes it possible for the broker to offer a deposit guarantee in the amount of €20,000 per customer. However, it should be noted that customer deposits are stored in Greek bank accounts. Anyone who considers this too unsafe is not given any alternatives at XTrade. A negative account balance is also possible at XTrade. This means that the broker offers a lever that makes it possible to multiply the credit without having the respective balance at hand. You should thus keep in mind that additional margin-call obligations can be incurred in this context as well. This means that the trader is prompted to deposit more money when his/ her account has reached a certain level. At XTrade, the margin is monitored by the broker in real time. That is to say that the trader always knows what his/ her account looks like at the moment. The minimum margin is the amount that must be transferred to the account in order to be able to hold open positions. If the equity in the account falls below this amount, XTrade will contact the customer and issue a margin-call requirement. Until this requirement has been met, the broker will close all open positions – until the account has once again been supplied with sufficient funds. This is for the security of the broker and the trader so that the loss cannot be increased any further. Especially given a lever of up to 400:1, the danger of this happening should not be underestimated. hen opening an account, the trader can choose between a demo account and a real-money account. Via the demo account, the broker provides a popular option that allows the customers to give trading a try without incurring any losses. Beginners in particular tend to underestimate the complexity of trading or find it hard to navigate the trading platform. This can lead to the creation of positions that should not be created at all, and, at the same time, possible losses can occur which minimize the overall desire to trade. Via the demo account, this can be prevented. 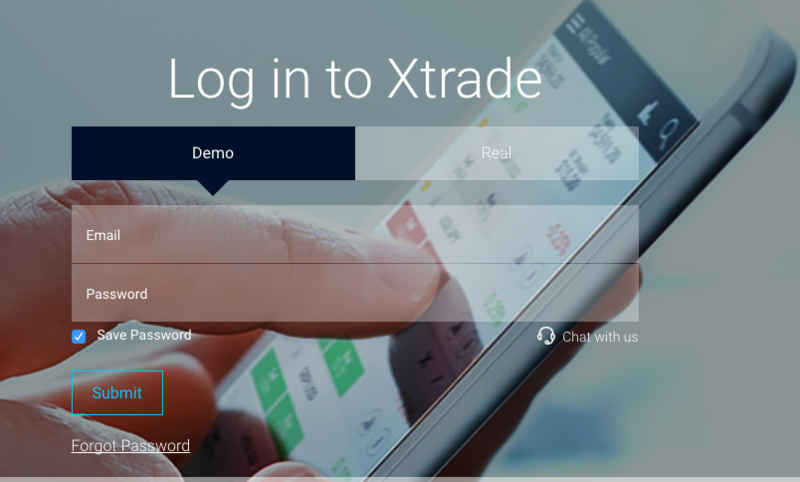 The trader has full access to all features at XTrade. As part of our XTrade review, it became clear that the demo account has no restrictions. For a period of 30 days, traders can use this account as they please. Of course, potential credit gained as the result of these demo trades is not converted into real money. In principle, the broker's demo account offers a solid opportunity to find a good entry into the trading world. The limitation to a period of 30 days is the only shortcoming in this context. Thus, traders do not have the opportunity to use the demo account on a more permanent basis in order to work on their strategies and to sustainably improve them. At XTrade, you can choose between two different account types. The minimum deposit is between €100 and €1,000. The standard version is very popular with beginners, since it is possible to start trading with a minimum deposit of no more than €100. The standard account provides access to all of the broker's offers. 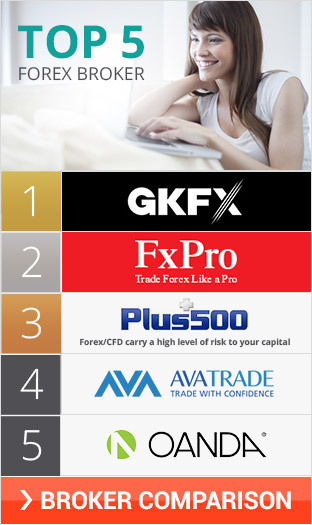 However, the XTrade review has shown that the premium account can be a great choice, too. A minimum deposit amount of €1,000 is necessary to start trading. The differences between the two account types have already been mentioned as part of our XTrade review. Opening a new account does not take much time. The trader is asked for his/ her data and then receives an e-mail with his/ her login confirmation. He/ she can now access his/ her account and verify it. Verification is necessary so that withdrawals are possible in the future. Since the trader is rewarded with a bonus once he/ she has completed the verification process, taking care of this step right away is definitely recommended. The deposit can be made in different ways. It is possible to make a deposit via credit card, bank transfer, or PayPal. The different deposit options are linked to different maximum deposits. However, this is clearly displayed on the website as traders can indicate which country they are from and see which deposit options exist and what the maximum deposit amount is. This makes it easy to find a suitable method for depositing money. How well a broker can position itself on the market is always a sign of what achievements that broker has under its belt and how satisfied the traders are with the broker’s overall offering. A very broad reach makes for an ideal negotiating position for the broker, wherefore considering this aspect was important as part of the XTrade review. These positions can be based on the liquidity pool or the hedging options for the net positions. 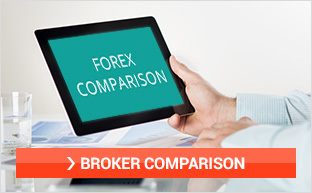 The broker XTrade was founded in 2002 and is part of XTrade Europe Ltd. It is one of the older brokers on the market and has already been able to consolidate its positions very well over the years. With its solid offering and clear spreads, this broker is also considered a good starting point for beginners and is well received by many traders that fit this description. In terms of its industry, the broker is thus well positioned. Especially in relation to the customer support that this broker offers, XTrade performs better than many of its competitors. The customer service team is available 24/7 five days a week, wherefore it is always possible to get your questions answered during trading hours. The academy area of a broker is an important point of consideration for any trader, wherefore we have taken a closer look at what this broker has to offer in this regard as part of our XTrade review. There is a well-established educational offering, which consists of video courses, eBooks as well as a library area. Only registered traders have access to this educational offering. The courses are divided into courses for beginners and advanced traders. There is a beginner's course as well as a course in which the instruments of the broker are explained in detail. This means that new traders are provided with all of the necessary foundational knowledge and can start trading right away. In addition, there are always new promotions as well as the possibility to receive further bonuses for a successful referral or the verification of one’s account and telephone number. In this area, the broker did particularly well in our test. The support offered by the broker is ideal, as our detailed XTrade review has shown. The customer support team is available to answer questions throughout the entire trading period. This applies 5 days a week. There are no breaks; traders can contact customer support 24 hours a day. This can be done in different ways: It is possible to contact the broker via live chat, via telephone or e-mail. The broker’s website is convincing. The clear structure makes it easy for traders to quickly find their way and to get all of the important information that they are looking for. There are optimal descriptions about various trade topics, trading costs as well as other possibilities. The registration process is very well structured. With respect to the customer service and the website, we did not find anything that was worthy of our criticism as part of our XTrade review. The broker XTrade is an old hand on the market and this shows. The broker knows exactly what wishes and ideas its traders harbour and makes sure to fulfil them. Due to the solid trade offering, the very well positioned platform as well as the optimal customer support, not only experienced traders will love what they see. Even beginners will find the perfect starting position for their first trades here and can start to engage in Forex trading right away. For taking the first steps, the academy as well as the demo account are practical helpers, which can be relied on, as the XTrade review has shown. Of course, there is some potential for improvement. Above all, some of the spreads are quite high – especially in comparison to other brokers. However, at XTrade, traders can count on the fixed spreads and are thus not faced with a new cost calculation before each position. The broker also focuses on the security of its traders. This is ensured through the regulation and an additional deposit guarantee scheme. In addition, all of the necessary information can be found on XTrade’s very clear and manageable website. Thus, XTrade did very well – and particularly so in comparison to many of its competitors.